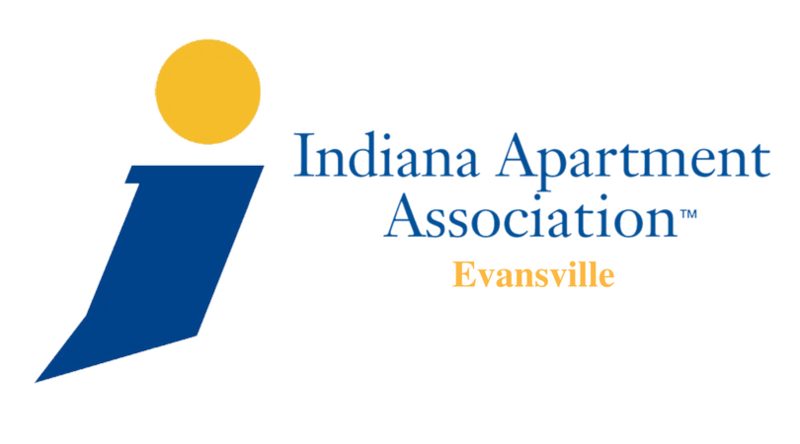 IAA: Evansville is the Area Council of the Indiana Apartment Association that serves the greater Evansville area. The purpose of IAA: Evansville is to promote, advise, and protect the general interest of the construction, ownership, and management of multi-family housing by engaging and uniting industry members through informative and engaging educational and networking events. The Indiana Apartment Association is a statewide trade organization serving the multifamily industry in the State of Indiana. To promote, advise and protect the general interests of the ownership and management of multi-family housing in the Indiana area by uniting those engaged in the business. The Local Advisory Council is a critical component of IAA’s strategic plan. This council actively plans and executes local engagement strategies including educational and networking events, member recruitment and retention, and local advocacy efforts. Council members serve as the key contributors to new and existing services and programs throughout the year. IAA’s resources extend throughout the Evansville area, the state of Indiana, and at the national level. As an IAA member, you belong to a community of professionals that share mutual goals, interests and commitments. Becoming involved with your local multifamily network will allow you to make valuable connections with peers, share knowledge and gain insights into the latest trends in your profession. Protecting the industry through local, state and national advocacy initiatives and grassroots mobilization. Network and learn about national apartment trends at NAA Meetings and Expositions. National award-winning monthly magazine and newsletters to keep you updated. Coming up in IAA’s Southern Council Areas! 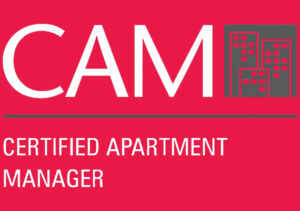 Earning a CAM designation allows mid-level staff to demonstrate that they have the knowledge and ability to manage an apartment community and achieve owners’ investment goals. This course is recommended for multifamily professionals with strong financial backgrounds and those ready to take the next step in their careers. And more around the state! Regular meetings are generally held on the second and fourth Monday of each month. Check the agenda for start times. View the City Council homepage. View the Evansville and Vanderburgh County website. Annual registrations for rental properties are due by May 10 to avoid possible late fees. Registration are handled by the Evansville-Vanderburgh Building Commission Office. Visit here for additional information. Find out more information about these ordinances by logging in to IAA’s Member Only portal. Save time and receive the best quote possible by buying from IAA-vetted Associate Members. Search for vendors and service professionals servicing the Evansville area and connect with a specific contact committed to ensuring you receive the best possible product or service. Thank you for supporting IAA associate member business! Click here to view the Buyer Guide! Associate Membership in IAA opens doors! If your business has a product or service needed by the multifamily housing industry, associate membership in the Indiana Apartment Association can be a valuable asset. IAA associate membership promises one thing: EXPOSURE. Your membership will open doors and help you achieve your business goals. Members Buy From Members campaign that encourages members on the site level as well is in the corporate office to contact associate members first when looking for a product or service. Display your IAA pride through certificates, plaques, window cling, etc. For the past seven years, the Indiana Apartment Association and the local Evansville council has presented awards that recognize those in the region that exemplify the best of the multifamily industry. Join us as we celebrate the stars of the Evansville area at the 2019 IAA Southern STAR Awards Dinner. This brand new event gives you the opportunity to enjoy a night of networking, honoring the best of the best in the southern region, dinner, and drinks. Winners of the Southern STAR Awards, formerly the Best of the Best Awards, will be announced during the dinner. Registration Opens – 5:45 p.m. Cocktail Reception – 6:00 – 7:00 p.m. Awards & Dinner – 7:00 – 9:00 p.m. Nominate your Communities and Employees Today for STAR Awards! The IAA Southern STAR Awards recognize apartment communities of all types and sizes in various categories, as well as the top multifamily and vendor professionals in the Evansville area. Awards submissions are now open! The deadline for all nominations is Monday, February 25, 2019. Nominations should encompass successes from 2018. Winners will be presented during the awards dinner on March 21, 2019. Deadline for submissions is Monday, February 25, 2019. STAR Award nominees and winners will be encouraged to submit for the statewide awards, announced on October 10 in Indianapolis. The Best of the Best Awards honors were presented April 19, 2018. I am proud to be an activate member of IAA. The courteous & professional service IAA provides along with the educational seminars and networking with my peers, helps me succeed as a property manager. I have been in the apartment industry since 2008 and loved it the moment I started. The IAA is as strong as its members, so it is always great to recruit and meet new members. I am a firm believer in networking; getting to know, like, and trust others. On top of the networking opportunities, the IAA offers exceptional and important classes. As a team, we felt like we were a little slow in terms of how long it took us to join IAA, but looking back are so glad we did. It was one of the best decisions we made not just because it put us in front of our target audience on a monthly basis, but because we have been able give back and be active members of the industry. Sitting on committees, attending events / meetings, and diving in to serve and make an impact where we can has been so rewarding for all of us.